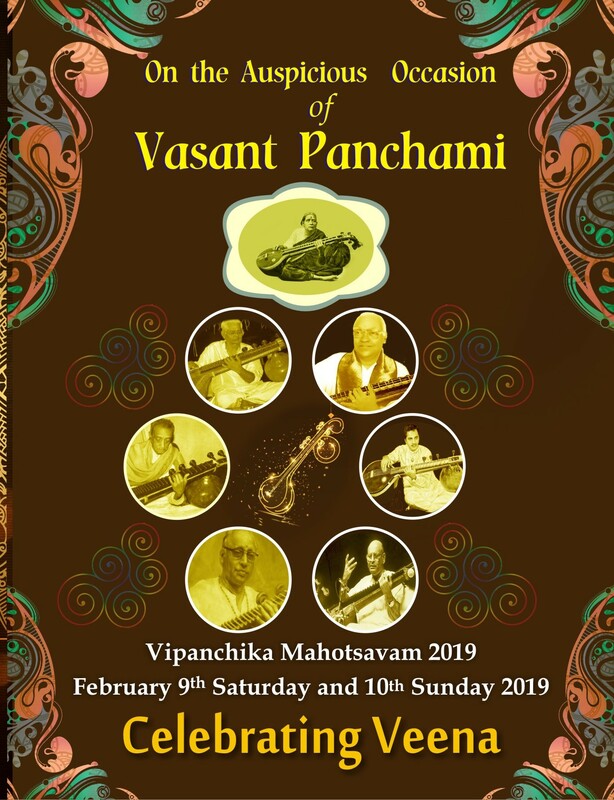 This is an open invitation from Shanmukhapriya Foundation to all visitors, well wishers and friends to participate in the upcoming Vipanchika Mahotsavam 2019, a two day festival dedicated exclusively for honouring the divine instrument Veena, on the auspicious occasion of Vasanth Panchami during February 9th Saturday and 10th Sunday. Shanmukhapriya Foundation is a non-profit research institution that works towards the promotion of South Indian Carnatic Music and Veena. Shanmukhapriya School of Music, an integral part of Shanmukhapriya Foundation has successfully completed 21 years in the domain of teaching Carnatic Music and Veena.